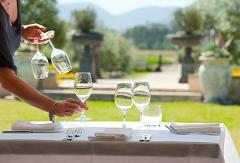 Wine tasting with a difference, why not add the elegance and excitement of a helicopter flight to your wine tasting experience! A Helicopter transfer and scenic flight followed by 18 holes of golf and a delicious burger lunch, what better way to spend the day! 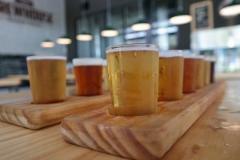 The Hunter Valley's ultimate brewery experience! This one is truly a feast for all the senses! The old and the new, experience the thrill and spectacular scenery of a helicopter ride and then enjoy the peace and serenity of a horse ride through the beautiful Australian bush. No ordinary picnic, this one will be sure to impress with a spectacular helicopter flight and a beautiful horse ride. 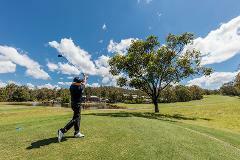 Explore the highlights of the Hunter Valley with a joint Hop-On Hop-Off Day Hopper Pass and Helicopter Flight from one Hop to another!